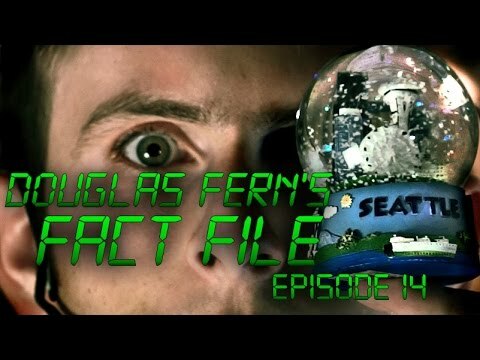 This week on the File, Doug and Rick search for spiritual IT support in the midst of a mortal funding war between Seattle’s art community and the ballooning tech population. Part of a series by Seattle locals Douglas Fern, Rick Kolnofsky, Cameron Alexander, Sam Dunnington, and Nick Thompson. Official Selection, Local Sightings 2016 and Seattle Web Fest 2016. On March 8, 2017, Douglas Fern screened at Northwest Film Forum in Seattle, followed by a panel discussion about the state of arts funding in our increasingly data driven city. The panel featured Tim Lennon, Executive Director of the Vera Project, and Kathy Hsieh of the Office of Arts and Culture, among others. Simon Fraser University (SFU) is a public research university in British Columbia, Canada, with three campuses: Burnaby (main campus), Surrey, and Vancouver.The 1.7 km 2 (0.66 sq mi) main Burnaby campus on Burnaby Mountain, located 20 km (12 mi) from downtown Vancouver, was established in 1965 and comprises more than 30,000 students and approximately 950 faculty members. Interesting Facts about Seattle. 1. One interesting (and intellectual) fact about Seattle: it's the most literate city in the U.S. We have the most bookstores and libraries per capita, and the most library card-holders to check them out!